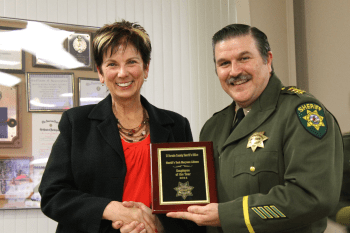 On February 20th, 2015, Sheriff John D’Agostini hosted the 2014 Sheriff’s Office Awards Ceremony at the American Legion Hall. 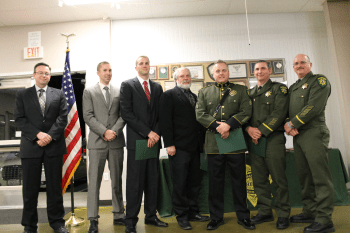 During the ceremony, employees of the El Dorado County Sheriff’s Office were honored and recognized for their exemplary actions and public service. Some of these actions occurred under hazardous and even life threatening circumstances. The circumstances or acts of service that contributed to the recipients receiving their awards were read aloud for all in attendance to hear. 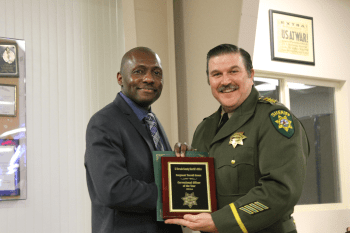 This was a special evening as many people heard for the first time many of the highlights of the work the men and women of the Sheriff’s Office set out to do on a daily basis. The ceremony was well attended by colleagues and community members in addition to family and friends of the award recipients. Dignitaries included District II Supervisor Shiva Frentzen, District III Supervisor Brian Veerkamp, and Superior Court Judge Vicki Ashworth. We at the Sheriff’s Office appreciate our community for their support as we announce the recipients of this year’s awards below.